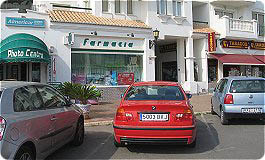 The nearest shop is Mercadona, which is the leading Spanish supermarket chain. The supermarket has a very nice delicatessen and fresh seafood section. Here you can buy all food products, beverage, pharmacy goods, items for personal hygiene, beauty supplies and complements you need for you holiday. For your convince, use the cellar parking and take the lift up. In the harbour of Almerimar are there shops were you can buy everything from clothes, shoes and gifts to all for living. All the facilities are here including supermarket, doctors, dentist and pharmacy. Take a walk in the harbour starting in basin 1 and look around. Buy maybe a magazine or a postcard, take a cup of coffee or a beer at a cafe or bar in basin 3 or at Plaza Varadero and look at the people and relax. That is what it is all about. Enjoy the sun and the Spanish way of life. Five minutes drive away is "Copo", a large shopping centre with over 60 shops and a very large hypermarket were you can buy everything. Especially the clothes, shoes and perfume shops will be of interest to have a closer look at and the huge collection of wine and beverage in the hypermarket to be the place for buying a bottle to take back home. There is also gokarting and a cinema, a adventure centre with an amusement arcade and restaurants. From Copo, only 200 m. in the direction of El Ejido you have a Lidl. Here you can buy the most common food and beverage for low cost. 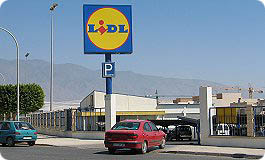 Inside Lidl you will also find a butcher that talk fluent English, German and France. 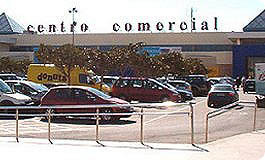 If you continue in the direction of El Ejido, but before you come to it, on the left side, you will find Aldi, Dia and Plus, which are all discounts stores with good qualities and low prices. 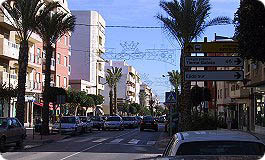 El Ejido is the second largest city to Almeria, in the province. 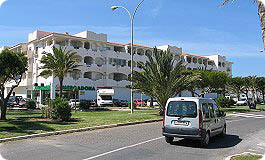 The town of El Ejido is only 2 minutes further on from Copo and offers a variety of hypermarkets and a large shopping area. Here you will also find a food market that is open from 8 am - 12 am Monday - Saturday and a Street Market that is open from 10 am - 2 pm on Wednesdays.